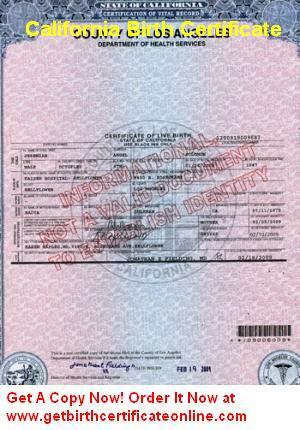 If you order for a California Birth Certificate, find the list of authorized individuals below. • A parent or the registrant or legal guardian of the registrant. • A child, grandchild, grandparent, spouse, sibling or domestic partner of the registrant. • A representative of another governmental agency or a member of a law enforcement agency, as provided by law. • The registrant’s estate or any person or any agency appointed by a court to act on behalf of the Certificate Holder or any agency empowered by statute or the registrant estate or an attorney representing the registrant. Find below California County Birth Certificate Sample and address of Local Registrar as well. 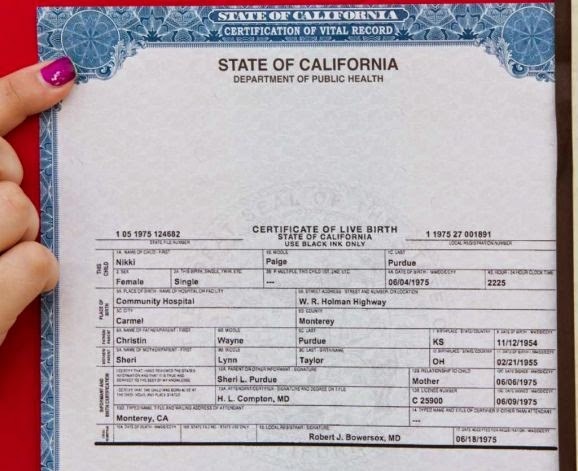 Order a Copy of YOUR California Birth Certificate NOW!